Infinity Con is a family friendly comic book, scifi, fantasy, gaming, pop culture convention just finishing it's 6th year event in Lake City, FL. We are excited to bring our brand of comic book convention to Tallahassee, and look forward to growing with the community in years to come! You can expect to find artists, vendors selling comics, collectibles, toys, stickers & Tee-shirts, Kid's Con area, panels, events, gaming, and so much more! 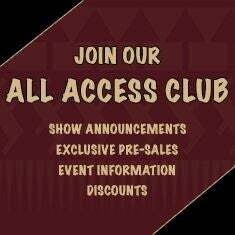 Tickets will be available day of the event at the Box Office. 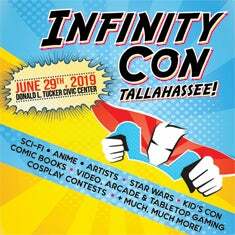 Check Out Infinity Con Tallahassee on Facebook!